Yesterday’s tenth and final issue of Secret Empire left us with some pretty major questions about the end of Stevil Rogers’ fascist rule. Mainly, what was the point of the whole thing? But also: What actually happened at the end of everything? 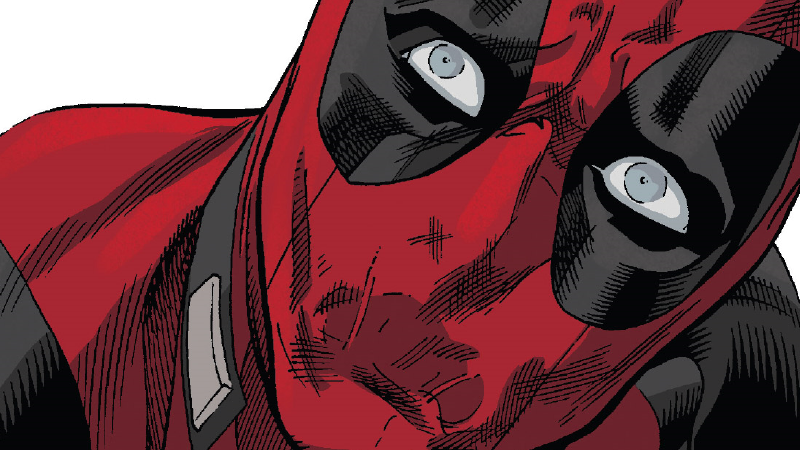 Turns out one major clue was hidden in this week’s issue of Deadpool. If you didn’t know already—either from the comic itself or when the New York Times put it out there earlier in the week—Secret Empire #10 ends with the “Good” Steve Rogers of old being yanked out of the soul of the Hydra Supreme Steve Rogers through Cosmic Cube-based shenanigans (bear with me here) so they can beat the crap out of each other in the battle for the soul of America itself. And so it goes—Good Steve defeats Stevil, the gathered heroes are whisked off to go take part in the ongoing Generations crossover out of nowhere, the world is saved, there’s a timeskip ahead to the average citizens of the USA conveniently forgetting just how easily they all lined up to support fascism and be racist to Inhumans, and that’s the end of that. But wait: There’s two Captains America now. Or three, I guess, counting Sam, but he technically gave the mantle up after the fight. But anyway, what the hell actually happened to Stevil Rogers after he got turned into a far-right pulp by the real Sentinel of Liberty? Secret Empire #10 doesn’t tell you. But weirdly enough, Deadpool #35—by Gerry Duggan, Mike Hawthorne, Terry Pallot, Ruth Redmond, and Joe Sabino—does. And it’s actually pretty huge. Most of the issue deals with the distraught guilt Wade feels over signing up with team Hydra, even if he only did so because of his love of Captain America, a man he thought of as being unable to do anything as evil as, say, establishing himself as the head of a far-right terrorist organization and using them to take control over the USA. After a brief battle with Maria Hill, who’s been off-grid trying to hunt Steve, despite Wade pleading with her that he’s seen the light and wants to help bring Cap down, Hill brings a building down on Wade after trapping him under the wheels of a van. Even for a dude who can regenerate his body super quickly, that’s a sticky situation, to the point that it actually takes Wade several days to regenerate to a point he can claw himself out of the rubble... by which point, the events of Secret Empire #10 have happened. And, as Wade walks by, it means we get to overhear a news broadcast that explains that not only is Stevil Rogers alive, he’s been taken into custody by the government. So yes, there’s quite literally two Steve Rogers walking around in the Marvel Universe right now, but you wouldn’t know if if you only read Secret Empire. Presumably there’ll be more on this by the time the Omega epilogue roles around, or the Good Cap goes off on a journey of reflection in this fall’s comics, but it’s weird that such a huge revelation is dealt with so offhandedly. What Was the Point of Marvel&apos;s Secret Empire?